The Savoie region is one of the more dispersed of the French wine growing regions being nestled around the northern Alps, south of Lake Geneva (Lac Léman) and east of the Rhône. It is also quite small by volume, encompassing only 2000 hectares of vines or about 0.5% of French wine production. The vineyards are separated not just by the mountains but also between the towns and villages of the three departments which the area straddles. With relatively small volumes these wines are mostly unknown outside of France and have in the past been pejoratively described by some as “ski chalet wines”. However with modern techniques and enthusiastic management this ancient area of viniculture is now delivering distinct and enjoyable wines. The region boasts some unique qualities. Two of the local white grapes, Jacquère and Altesse (locally known as Rousette) as well as the red Mondeuse are rarely found anywhere else in the world while the white Chasselas is mostly grown here and in Switzerland. The microclimate is distinct due to the proximity of Lake Geneva and the River Rhône. The water reduces the temperature extremes of the otherwise continental climate in both summer and winter, and likewise helps to extend the growing season. The soil from the ancient alpine glaciers is characteristically alluvial, sandy or clay, holding little water and hence stressing the vines. This reduces their vigor and yield, increasing the quality of the resulting grapes. Combined these attributes produce a specific local character and a flavour of the mountains! There are three appellations in Savoie producing predominantly dry, fresh white wines. Vin de Savoie is the generic AOC designation for white, rosé, red and sparkling wines that meet the standards of the region and encompasses a further 16 dénominations. Across the region there are around 23 grapes varieties planted in total. 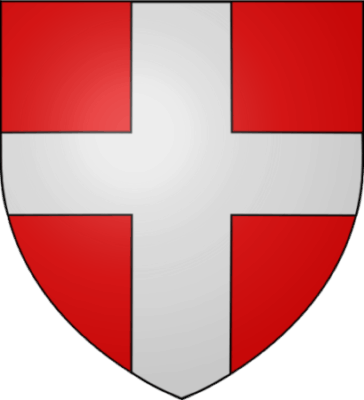 The Russette de Savoie AOC is specific to the white grape of the same name and produces slightly richer wines than many of the whites of the region. There are only four cru that can hold this designation, all within 30km just south of Geneva, and especially well suited to the later ripening of this grape: Frangy, Marestel, Monthoux and Monterminod. Seyssel AOC produces both white and sparkling wines but is particularly known for the latter and is the one appellation from the region that is more often found outside of France. It is grown around the village of Seyssel located south of Geneva on the Rhône, with a history of production dating back to the 11th Century. The grape is once again predominantly Altesse. The wines are typically fruit driven and fairly dry with hints of violets and white blossom! While the areas south of Geneva, around Lake Bourget and Chambéry, are about a two hour drive from Châtel, the regions of Crépy, Marignan, Ripaille and Marin are fairly close by, situated on the south side of Lake Geneva. All of these wines are made from the Chasselas grape and are typically ‘varietal’ (single grape) but can be blended following the appellation rules, usually with up to 20% of other grapes. The particular proximity of the lake for these crus and the typically south facing slopes are important in developing the acidity and phenolic ripeness of these grapes. Marignan is the odd one out in being on a north facing slope and its wines are amongst the lightest in Savoie, typically floral with delicate minerality. Why not contact Chateau La Tour de Marignan for a tasting to find out more? Crepy was an AOC in its own right from 1949 to 2009 when the growers chose to market their wines under the Vin de Savoie appellation. Many of these white wines are aged sur lie which contributes to their somewhat richer character than those of Marignan. Domaine de Grande Cave de Crépy is one of the main producers here. The Savoie Marin cru is a little closer to the lakeside than Crepy and Marignan and instead of being grown on the hillsides is situated on more gentle inclines between Thonon and Evian (of the eponymous mineral water). This location makes Marin slightly heavier than the other Chasselas wines (true also of its neighbour crus of Ripaille). The owners of Vineyard Delalex will be happy to arrange a tour. Ripaille takes its name from the Château de Ripaille, one time home of the Savoie royalty, situated on the eastern edge of Thonon-les-Bains right on the shore of Lake Geneva. The Vin de Savoie Ripaille is held to a higher standard than the generic Vin de Savoie wines with a higher alcohol content and lower yield. A ‘fruity nose and fresh on the palate’, it accompanies many fish, seafood and cheese and is also a wonderful aperitif. Visit the Château to find out more. Although the wines of the region are predominantly white it would be a crime not to mention the Mondeuse, a grape native to eastern France and grown around Chambray. It stands out as a full bodied, deep purple wine with a balanced acidity and well integrated tannins. Aromatic on the nose, think damsons and cherries with a peppery twist, and a characteristic bitterness. The Mondeuse is in fact related to Syrah and the common traits can be observed in tasting too. Mostly the cru is varietal but is sometimes blended with Gamay, Pinot Noir or Poulsard. In the words of Janis Robinson MW (Master of Wine), “The wines of Savoie tend to taste of the French alps in whose foothills they are made – all crunchy crispness and herby, sappy flavours. My favourite is the curious, deep-coloured, racy, slightly bitter red Mondeuse, but there is a wide range of light but fruity, crystal clear whites, of which Altesse (or Roussette) is potentially the finest”. Our guests at La Grange au Merle will have the opportunity to enjoy a selection of these wines whether lunching on the mountainside, relaxing in the cosy warmth of our chalet or amongst the cases stored in our very own carnozet. We hope you can make the visit!